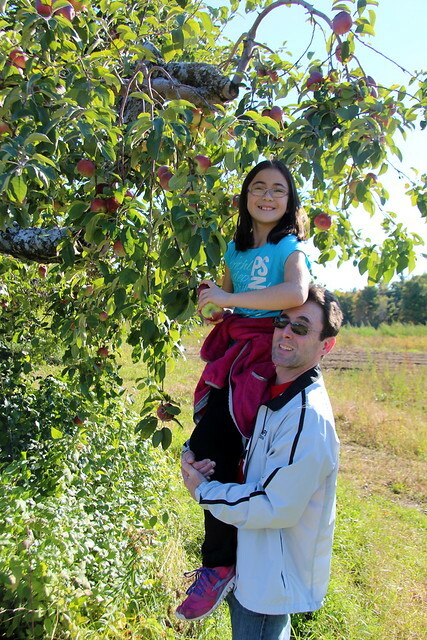 Every year, we make it a tradition to go apple picking at our local orchard in town. After all, it's the only way to be a proper "New Englanda" living in the outer suburbs of Boston. 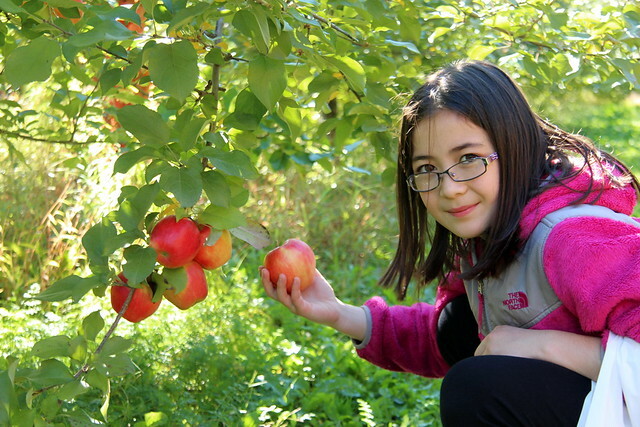 Doug said that Dova is getting way too big to pick up for the apples up high. 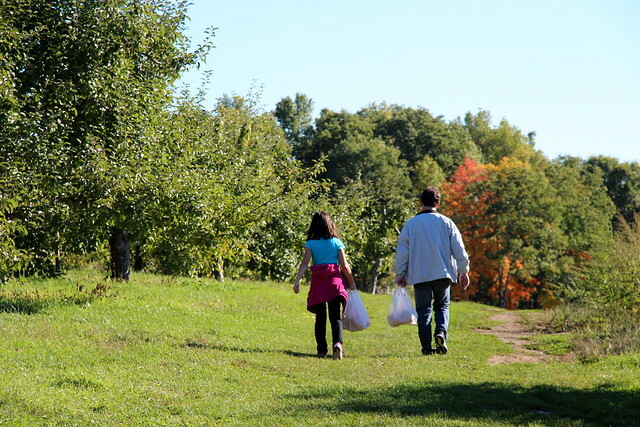 But nothing beats a walk through the apple orchard, with the crisp fall air and glimpses of foliage. 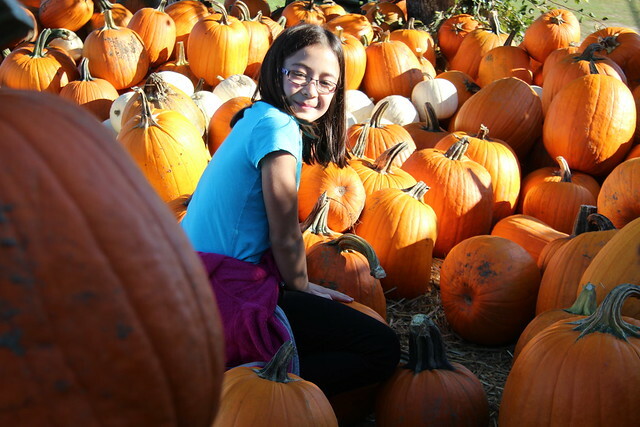 As usual, Dova loved picking out pumpkins. 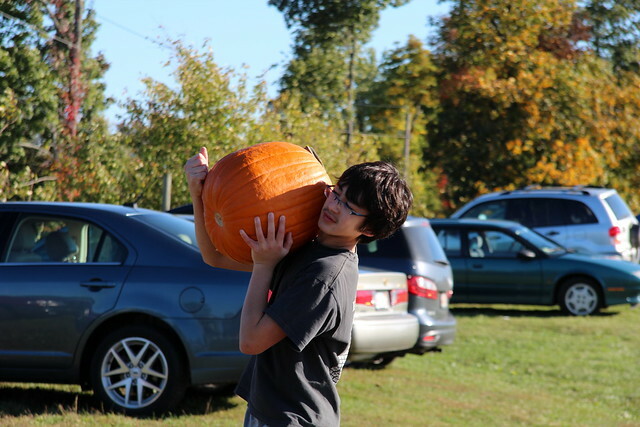 And Adam hauled them to the car. 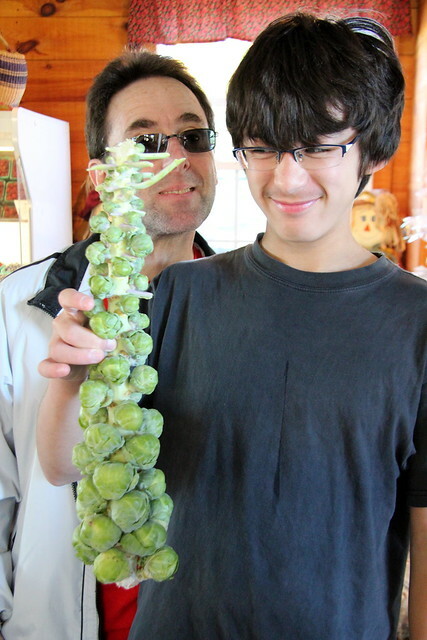 This year in the store, we also picked up some fresh brussel sprouts to Adam's dismay. 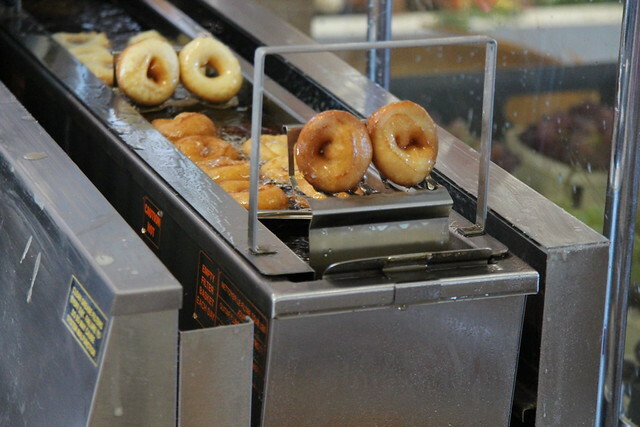 But what really caught our eyes and noses were the fresh cider donuts frying right in the store. 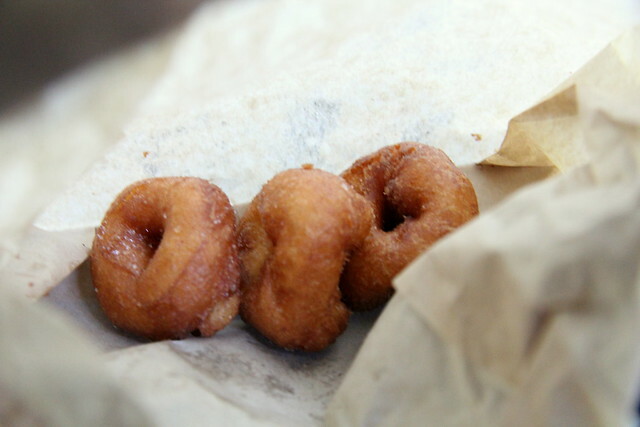 Here they are in the bag just before we inhaled them on the car ride home. Can you smell the cinnamon goodness? 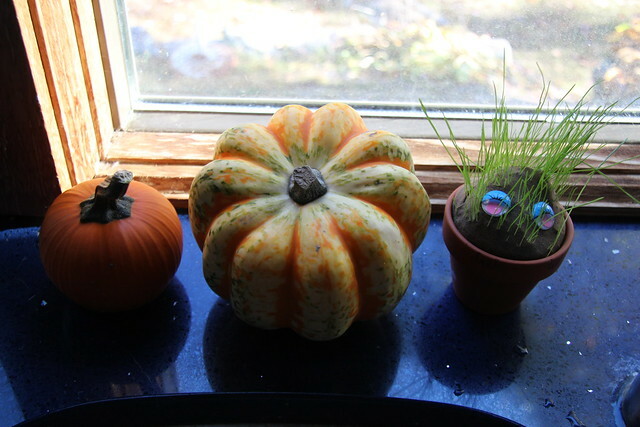 We also picked up some cute gourds, next to Dova's Harry Potter mandrake she got as party favor. 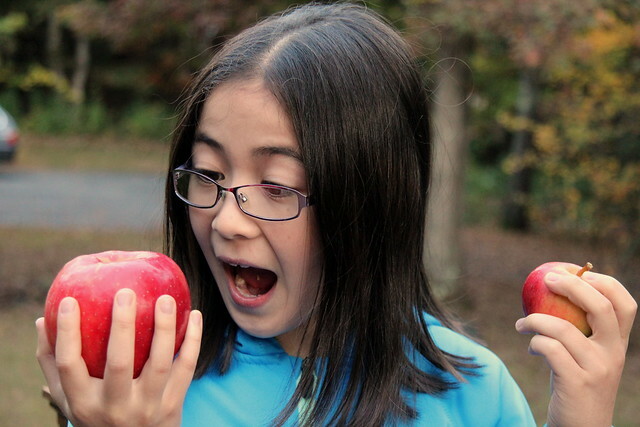 The best part (besides the cider donuts) is deciding which apple to eat, the largest or the smallest! Angela's note: Another out of season post, but these photos were too good to pass up!